Know your subject property and surrounding neighborhood with quick, accurate, current data. Select and logically arrange comparables according to how well they match the subject property. 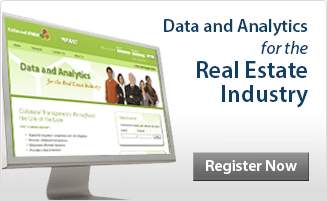 Obtain fast valuation results from the most up-to-date property data. Then, print and keep the Appraiser Report in the loan file to help underwriting, quality assurance, and to use with any future review. Perfect for underwriters, reviewers, quality assurance, quality control, or capital markets groups, this Web-based, interactive tool is easy to use. Map a subject property, plot possible comparables, and quickly evaluate the property’s worth. Easy Price Opinion’s intuitive interface saves time and eliminates the need for multiple data sources and review products. Because Easy Price Opinion draws from the frequently updated National Collateral Database™, you know you’re getting the most current information available, including sales data, public record, and aggregated appraisal details. From mortgage lending to Wall Street, you can be confident that the comparable properties you select are the most accurate and most similar to the subject property. Easy Price Opinion eliminates the guess work. Easy Price Opinion generates an interactive map with the subject property and the location of 15 possible comparables. Click on a comparable to view its sales history and property characteristics. Click again and the chosen comp instantly populates your review form. For a sample report, contact us or visit CollateralDNA.com and register for free.